and ideas together to inspire literacy, learning, and discovery. Here we are in February, offering you some library love, with our Check In @ LPL monthly online newsletter! Our resources, recommendations, and opportunities help make our community more vibrant. Comments, questions? Let us know - drop us a note. The Library is closed February 18 in observance of Presidents Day. Remember, no books are due when we are closed, nor on the day following our closures. You can still check us out on our website! 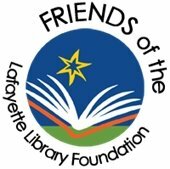 We remember with gratitude Donna Parsons, who was a tireless volunteer with the Friends of the Lafayette Library for well over ten years. 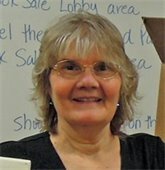 Donna particularly enjoyed working with children's books but her expertise extended to all areas of of book organizing and sales. She served as President of the Friends of the Library Board for several years before stepping down due to health reasons. Donna passed on December 12, 2018. We miss her presence. Please consider joining our Friends group to support library initiatives like our hugely popular Summer Reading program. You could be part of a small team focused exclusively on fundraising projects. If you have previous fundraising or grant writing experience, and want to help build and sustain a vital and exciting part of your community, let us know! Contact Library Director Melissa Hisel for more information. The next Friends Lobby Sale takes place March 24-31, during library hours. For a $10 donation, you can enjoy an hour of early bird shopping on Saturday, March 24, 9-10 am. We offer fiction and non-fiction books for adults and children, from .50 - $3. There will also be CDs, DVDs and some non-book items for sale. Don't miss this opportunity to buy some interesting books for your reading pleasure! 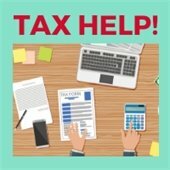 Volunteers from AARP will be available to assist people in preparing and filing their taxes. The service is free, but appointments must be made in advance by signing up online or calling the Library at 303-665-5200. Make your appointments early; spaces fill quickly! *New this year-participants must fill out Form 13614-C, Intake/Interview & Quality Review Sheet, available at the Library, or download the form. Have you met our Volunteer Computer Coaches? Our Volunteer Computer Coaches offer free, basic tutoring in the library’s main floor Computer Lab. Just drop by with your new device or your tech questions, and our patient and skilled Volunteers will lend a hand. We don’t do repairs or extensive training, but our Coaches just might have the answer you’ve been looking for! No advance appointment is needed, whether you’re downloading ebooks for the first time, figuring out your new camera phone, or setting up a new social media account to keep in touch with family and friends. Just drop by and say hello as your schedule permits. If you’re interested in joining our Volunteer Computer Coach team, just fill out our Volunteer Application. Explore our blogposts this month for things to hunker down with during this winter season. We love to share what we come across, so try a few recommendations. You can get the books and DVDs in our catalog. LafayetteREADS! is a quarterly Lafayette community reading and discussion group. We select books that are not only great reads, but that are relevant to today’s issues. Informal discussions focus on the book itself, as well as on ways in which the story sheds light on the contemporary world. Read and relate to your community! Give yourself lots of reading time to get ready for our next quarterly LafayetteREADS! community book group. Sign up and reserve your place on the holds line. Search billions of genealogy documents; access this resource at the Library. Explora Easy-to-use and reliable content from leading publications. Novelist Fiction readers, find new authors and titles based on what you like! Try Novelist Good Books Alerts to help you figure what to read next. Novelist K-8 Kids and young adults find books similar to those they love. ReferenceUSA gives you instant, real-time access to accurate, in-depth information on U.S. businesses and U.S. residents. To use- follow the link, select a database and get started! We offer an assortment of tools that simplify your Library life. Try out a few, and enjoy the advantages of easy access. RB Digital eMagazines - Stream or download magazines for free. Museum passes - Free admission to area cultural institutions-restrictions apply. Text messaging with the Library - Manage renewals and holds by text message. iPads - Enjoy the use of an iPad in the Library, for up to 2 hours. Libby helps you find and reserve library materials, from anywhere! Lucky Day - On display in the lobby - avoid long hold waits on popular titles. NY Times - Access all the news you need, for free! Power Check Meters help you make your home more energy efficient! They are available for check out; watch the video tutorial. Active Minds expands lives and minds by providing outstanding educational programs that foster lifelong learning and active minds for life. 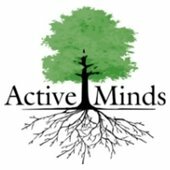 Join Active Minds as we survey the current state of renewable energy and look at the various forces that influence how these resources evolve in the future. 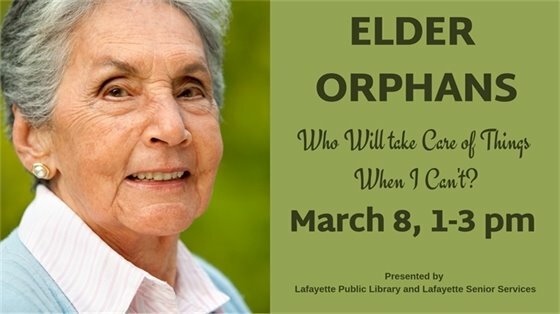 Presented by Lafayette Public Library, Lafayette Senior Services, and Active Minds.